An interfaith panel discussion entitled “Progressive Approaches to Faith”. WHAT ROLE CAN FAITH & SPIRITUALITY PLAY IN A SECULAR WORLD? WHO IS GOD AND WHAT DOES GOD EVEN MEAN? HOW CAN FAITH GRAPPLE WITH GENDER EQUALITY & LGBTIQ RIGHTS? 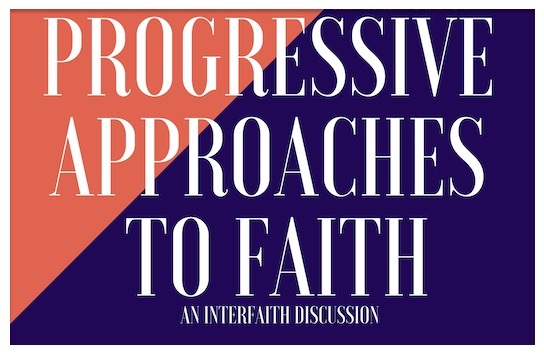 This is a free event where we explored and examined these questions and more on an evening that celebrated progressive movements in different faiths. Rabbi Allison RH Conyer – an ordained rabbi from Califronia now at the Bentleigh Synagogue here in Victoria. Rev Matthew Cutler – Matt Cutler is an ordained Churches of Christ minister. Reem Sweid – President of Muslims for Progressive Values in Australia.